We're going to DC next week, you? 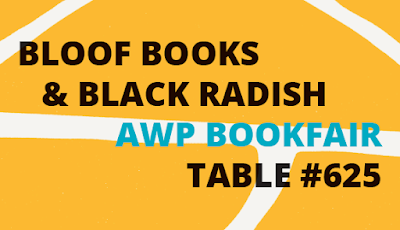 Bloof Books will be participating in the AWP Conference & Bookfair next week in Washington DC. We will be reading, paneling, writing & otherwise making our voices heard. Though we recognize the timing of this conference is not ideal, we feel it is important to carry on with our small-press and poetic activities (not to mention our jobs!) in spite of our intense opposition to this new administration. We wish all our readers & fellows resilience & strength of heart. We thank you all for your efforts—seen & unseen. We will never stop resisting. We will be debuting all three of our new books! Details below. And of course bringing our full catalog. As usual, we'll be offering exclusive bookfair discounts. Our first releases of 2017 are ready for your preorders. We're so excited to bring you Nikki Wallschlaeger's second book, Crawlspace, a collection of fiercely experimental sonnets; K. Lorraine's beautifully present second book, The Rest Is Censored; and this horror-inflected sixth book by Danielle Pafunda, The Dead Girls Speak in Unison. Shanna Compton is a panelist on a forum about the long poem: The Long & Winding Road, with R. Erica Doyle, Katrina Vandenberg, John Gallaher, and Matthew Thorburn. Marriott Marquis, Marquis Salon 9 & 10, Meeting Level Two. 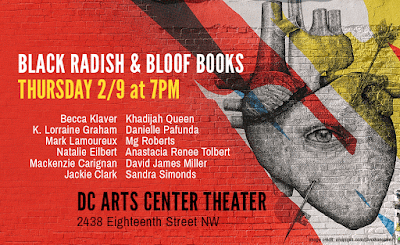 BLOOF's side of the bookfair table may not be open during this panel, but we'll see you there immediately after, by 10:30 a.m.
Khadijah Queen, Mg Roberts, Danielle Pafunda, Anastacia Renee Tolbert, Becca Klaver, Natalie Eilbert, K. Lorraine Graham, Jackie Clark, Sandra Simonds & more! Sandra Simonds is a panelist on Writing in the Internet Age, with Esmé Weijun Wang, Mark Neely & Ashley Ford. Washington Convention Center, Room 101, Level One. Danielle Pafunda will be signing copies of her new book, The Dead Girls Speak in Unison, and offering tarot readings. Washington Convention Center, AWP Bookfair, Table #625. 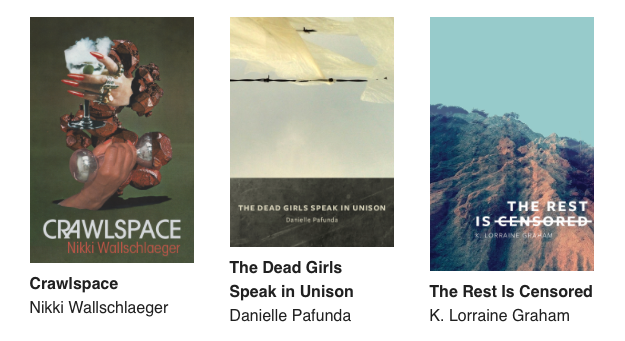 Becca Klaver is a panelist on The Poetics of Empire: Five Books, with Farid Matuk, Laura Jaramillo, Christopher Kempf & Sam Taylor. Marriot Marquis, Supreme Court, Meeting Level Four. Becca Klaver & Jennifer L. Knox will be signing copies of their new books, Empire Wasted and Days of Shame & Failure. Washington Convention Center, AWP Bookfair, Table #625. Khadijah Queen is a panelist on Legacies of the Badass: Black Feminist Writing in the Millennium, with Ruth Ellen Kocher, Dawn Lundy Martin, Lillian-Yvonne Bertram & Duriel E. Harris. Washington Convention Center, Room 209ABC, Level Two. BLOOF's side of the bookfair table will be closing a little early Friday, by 4:00 p.m.
Jennifer L. Knox is a panelist on Arsenic Icing: Sentiment as Threat in American Women’s Writing, with Vievee Francis, Brenda Shaughnessy, Cate Marvin & Erin Belieu. Washington Convention Center, Room 202A, Level Two. 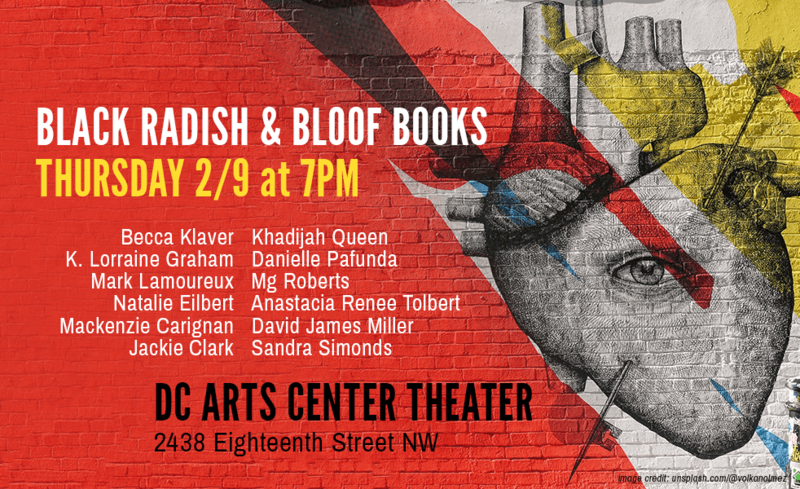 Khadijah Queen is a panelist on Writing White Characters, with Sophfronia Scott, Traci L. Jones, Daniel José Older. Marriot Marquis, Archives, Level Four.